Where is the Perfect Family Day Out in Orange Beach? The Beach Club Resort & Spa > Blog > Is The Wharf The Perfect Location for a Family Day Out? Is The Wharf The Perfect Location for a Family Day Out? When it’s time to take a break from the beach or pool and go on an excursion, The Wharf in Orange Beach is the perfect place to find everything you need for a fun-filled, laid-back day or evening out. 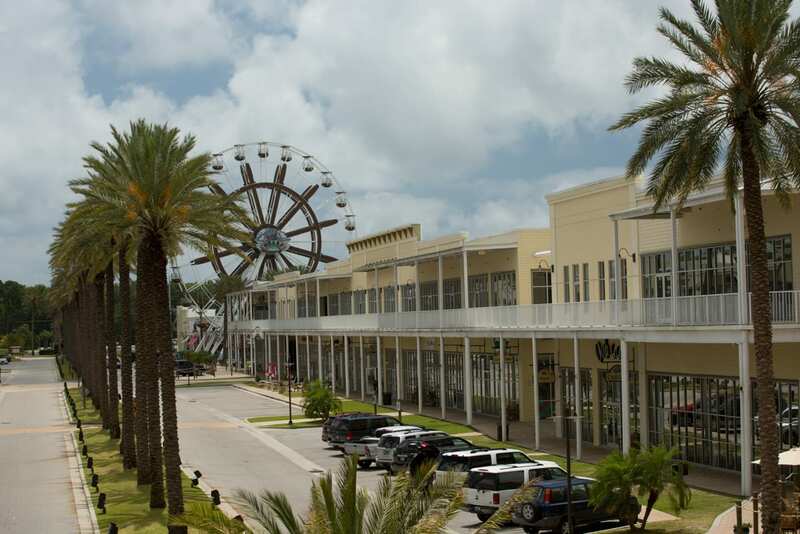 With the many options available along the Alabama Gulf Coast, we are recommending the Wharf because it is centrally location with shopping, dining, and fun for the entire family. Start your day at The Wharf with breakfast at The Southern Grind Coffee House. They have a coffee menu that competes with Starbucks. If you are looking for an egg and toast breakfast or just a simple bagel, they have everything you need to fuel up for a day of shopping and activities. The southern charm and unique coastal style of this cafe is warm and inviting and a great way to start the daily grind. Now that you have completed the most important meal of the day, it’s time to walk around The Wharf’s many shops. They have everything from locally-owned boutiques to department stores. Take the younger kids to Build-A-Bear Workshop and let them bring a Teddy Bear to life. If you are looking for a women’s clothing boutique specializing in recognizable fashions and emerging designers then we recommend shopping atLucca. Ladies, we strongly suggest sending your man to Archipelago before starting your shopping ventures at the Wharf. Archipelago is the premier shop for men’s clothing. They offer a complimentary drink while you shop and a cigar with your purchase. This makes life a little easier on the ladies looking to spend freely and shop til’ they drop. throughout the peak season. Every night there are three free Spectra light shows! At 8 pm is A Night at the Movies, 9 pm is the Aqua Show and 10 pm is the Patriotic Show. Additional entertainment includes a magic show, a hula hoop artist and fire enchantress. If you are looking to get a birds-eye view of the Alabama Gulf Coast, just hop on theThe Wharf’s Ferris Wheel. It is the tallest in the Southeast and it has become a landmark in itself. It operates from 12 pm until 10 pm daily and it is a great way to get a tree-top view and feel the gulf breeze. If you are a big fan of the Ferris wheel and most likely a thrill seeker, then Sharky’s Family Adventure Park has something for you. There you can test your skills and balance ability while making your way along one of 3 rope courses. They even offer one for children less than 48” so the smaller kids can participate. The Wharf offers a unique selection of great shopping, dining and entertainment for the entire family. For additional information about the Wharf, visit their website at www.alwharf.com. Please tell us about your favorite place at the Wharf and leave us a comment below. Have fun, be safe and enjoy your 100 Days of Summer!